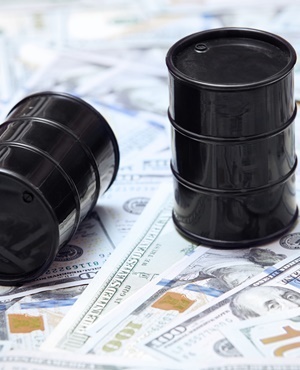 Oil faltered below $70 a barrel as Saudi Arabia said it has no intention of using its oil wealth as a political tool and as American crude stockpiles were seen gaining for a fifth week. Futures in New York were little changed for a second session after sliding 3.1% last week. Saudi Arabian Energy Minister Khalid Al-Falih told Russia’s TASS news agency that the kingdom is ready to boost output to 11 million barrels a day soon and has no intention of repeating the 1973 oil embargo in the controversy over the killing of journalist Jamal Khashoggi. In the US, inventories may post their longest rising streak since March 2017. Crude has hovered near $69 a barrel for the past four days after reaching a four-year high earlier this month. Saudi Arabia’s evolving explanation of how the kingdom’s critic died has drawn skepticism among politicians around the world and kept inventors on edge. Still, US President Donald Trump, who is set to impose sanctions on Iran’s exports next month, is counting on Saudi cooperation to make up for the loss of supply and soften potential price increases. West Texas Intermediate for December delivery was at $69.20 a barrel on the New York Mercantile Exchange at 4:01 pm in Seoul, down 16 cents. The November contract expired on Monday after nudging up less than 0.1%. Total volume traded was about 22% below the 100-day average. Brent for December settlement was 39 cents lower at $79.44 a barrel on the London-based ICE Futures Europe exchange. The contract edged up 5c to $79.83 on Monday, after slipping 0.8% last week. The global benchmark crude traded at a premium of $10.27 to WTI for the same month. Saudi Arabia has the ability to lift production to as high as 12 million barrels a day if the market requires it, Al-Falih said in the interview with TASS published on Monday. However, if the supply losses created by disruptions in Libya, Nigeria, Venezuela - as well as US sanctions against Iran - were to grow as large as 3 million barrels a day, the kingdom would need to tap its oil reserves, he added. In the US, crude stockpiles probably increased 3 million barrels last week, according to a Bloomberg survey before a government report on Wednesday. Inventories have risen more than 22 million barrels over the past four weeks as domestic drillers raised output, while refineries halted some operations for seasonal maintenance.